“This is not the end. It will have to end up with a land swap (between Kosovo and Serbia)”. and Western diplomats were just as quick to shoot these remarks down. Many said that no one in their right mind would dare re-draw the borders in a region that just emerged from a decade of warfare, particularly with Washington being clearly the patron of Kosovo’s independence. Well, something must have changed in the meantime, because talk of borders and land swaps is swirling around the region this week, after having also been raised last August. At first only the tiniest of hints, it gained more traction when a map presenting an agreement was published by the relatively unknown Independent Balkan News Agency, as well as on social media in Kosovo and Serbia. The agreement would involve southern Serbian territory, populated mainly by Albanians, and parts of Kosovo with a sizeable Serb population. The divided town of Mitrovica in northern Kosovo would get the status of ‘a free city’, while Trepča mines would also get special status, with profits shared between a joint American-French-Chinese consortium, Kosovo and Serbia. Furthermore, parts of the Preševo municipality in southern Serbia could be annexed to Kosovo and another one, Bujanovac, would become a special district similar to Brčko in Bosnia-Herzegovina. Before one had time to dismiss it as a hoax, or another piece of well-crafted fake news, Kosovo President Hashim Thaçi gave it more credence on Tuesday. In an interview with Pristina-based Raport TV, Thaçi said that merging parts of southern Serbia with Kosovo could be part of an overall agreement. In his words, it would involve three Serbian municipalities. But Thaçi went a step further, saying that if the agreement envisages their annexation by Kosovo, and the Kosovo parliament rejects this, “I will resign and call a referendum”. In Serbia, Foreign Minister Ivica Dačić has publicly spoken of Serbia’s wish to have a proper demarcation of borders with Kosovo – something never done before as Kosovo had been an autonomous province inside Serbia. According to some Serbian sources, a land swap of sorts has been put on the table. 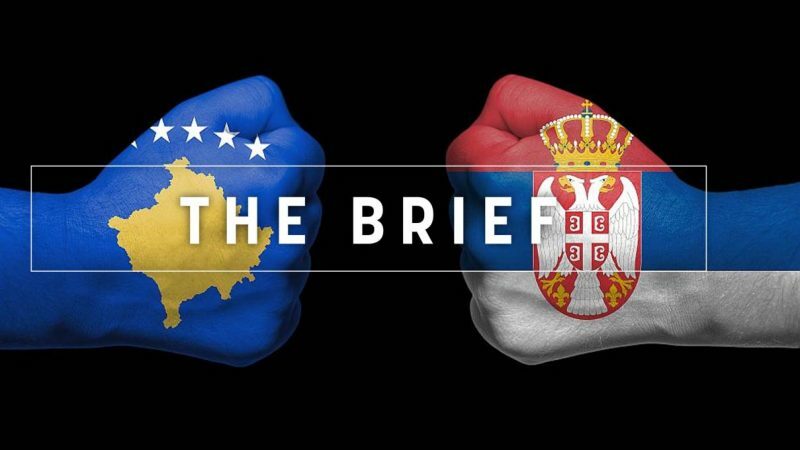 Belgrade wants to reduce it to as little territory as possible, while Kosovo is paralysed by an internal struggle between Thaçi and Prime Minister Ramush Haradinaj, who has opposed such a deal, saying it is being promoted by Russia. The EU has been pressing Serbia and Kosovo to reach an agreement and put an end to hostilities if they want to advance their prospects of joining the EU. For Serbia, everything short of a formal, explicit, recognition of Kosovo’s independence could be acceptable. But another question, on top of ‘Is this feasible?’ is: is this wise? The jury is still out. For some, it may be the only way to put behind the bloody legacy of the 1990s and move the region away from Russia and towards Brussels, now that North Macedonia is en route to joining NATO. For others, it could open the Pandora’s box of borders. The Bosnian Serb republic, whose pro-Russian leader Milorad Dodik has been waving the secession flag for years, comes immediately to mind. Once again, the Balkans will be the testing ground of international politics and show how efficient the EU’s ‘soft power’ can really be. A Franco-German proposal aims to establish a new “eurozone budgetary instrument” that would support national reforms and investments in the single currency bloc. Read here in detail what’s inside. François-Xavier Bellamy, a philosophy teacher from Versailles, does not believe in European democracy but wants to advance the idea of Europe by working on culture and education. As the UK prepares to leave the EU, Northern Ireland will be severely affected as its economy is highly interlinked with the Republic of Ireland. How much conflict potential lies in the Arctic? As the ice melts, fresh trade routes and untapped natural resources open up in Europe’s High North, leaving the region caught between cooperation and militarisation. Allegations of state-sponsored espionage surrounding the Chinese company in recent months were groundless, a senior Huawei representative argues. Barcelona and Madrid football clubs team up to defeat Commission over tax regimes, after EU judges said that their tax regimes were lawful. All it took was 12 days for a Dutch truck laden with automobile lubricant to make a 7,400 km journey from Germany to western China, via Poland, Belarus, Russia and Kazakhstan. Missed what is shaping the news around Europe since this morning? Have a look at today’s edition of The Capitals with Labour’s 2nd referendum, Sardinia’s vote in Italy and judiciary changes on the loose in Romania. MEPs from the relevant European Parliament Committees are right now auditioning three candidates for the position of the first-ever chief prosecutor of the European Prosecutor’s Office. Look out for the final vote tomorrow morning.